Well, here it is - finally! But, the fun isn't over yet!! Stop by my Halloween Party, if you haven't done so! 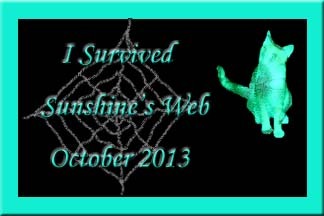 Be sure to visit my Halloween Links page, too! Also, if you like kitty videos and pictures, please visit my home, Sunshine's Site, if you have a chance!